at it's best! We went to the Amish country this weekend for their Fall Festival and it is one of the best fall festivals around. I love getting to know the Amish people! The sounds of the horses! Price of bails of hay versus prices of gallon of gas?!?! We enjoyed every minute of our get-a-way! Already planning on going back next year. My husband also enjoyed this time away. They also have many things for the men to see! Car museum, live music, etc. Our furry girl, Keesha went with us and also have a great time, she has been sleeping all day. We wore the poor girl out! We also visited an Amish farm and got to know the Yoder family. They had Pomeranian puppies for sale and no I didn't bring one home, even thou I tried. We brought many goodies, chocolate covered oreos, candied buckeyes, kettle popcorn, homemade pie, etc. There was also a scrapbook store in the Davis Mercantile! Wow did they have a lot of Fiskars products, finally found my Lazy days of summer punch, spent lots of money there! Sounds like you had a good time there - welcome back !!!! I love the amish so simple and peaceful. 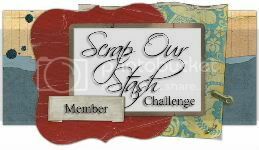 looks like a fab day out and you managed to find a scrapbook store lol you will have to show off your new punch and what you can do with it ! i live in the uk , i havent seen that punch before mardi . gorgeous photos. It sounds like a wonderful day. Sounds like so much fun! 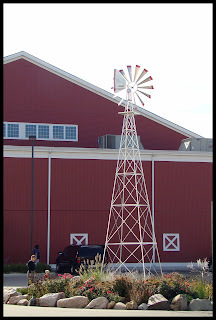 We did a trip to the Amish country in Lancaster, PA area a couple years ago. It was such a nice, calm, back to basics trip. The photos are beautiful!